Throughout the years I have heard people grumble that when they get home from a hard and long day at work, the last thing they need is to be bothered by anyone at home. This situation has caused divisions in the family and many relationships to go sour. I can understand that stress in the workplace can frustrate and wear people down, but I also believe that those who “take it out” on others when they leave work, have not learned the secret of leaving their work back at work. Of course, I’m referring to bringing your work problems into the home. I had this little daily ritual during my postal service career: As soon as I stepped out of my car and started walking into the workplace, I would lift up a silent prayer to the Lord to help me throughout that day not to do or say anything that would give Him a bad name. I was aware that I was about to enter a much different world (the workplace) than the one I just left. (Home) Once I left work, I would pray that I would leave it and it’s problems behind and not take them home with me. I bet some of you do basically the same thing. If you are one of those who just can’t shake off the effects of a long and bad day at work when you get home, the Lord has the solution. Its as easy as developing a different mindset. 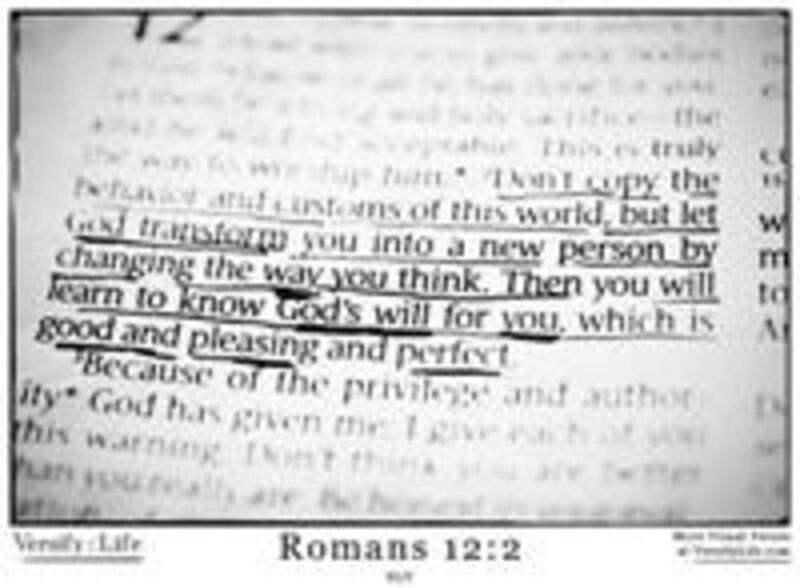 The Bible says in Romans 12:2 NLT: “Don't copy the behavior and customs of this world, but let God transform you into a new person by changing the way you think. Then you will know what God wants you to do, and you will know how good and pleasing and perfect his will really is.” Permit me to offer this simple scenario: The world’s general way of thinking leads us to believe that when others “mess with us” or cause us grief, we do not have to take it. Well, at work we have to, if we want to keep our jobs. It’s a totally different matter when we are on our own time. Because “we took it” at work, our mindset will be that we’re not going to take it at home, so we may already be looking for an excuse to explode. When we’re going home with that attitude, the wisest thing to do is to pray and ask God to help us.